Scientists from Ocean Optics, Inc. recently hosted a workshop at Florida Polytechnic University for students, faculty, and staff. The company is a leading manufacturer of spectrometers. In this photo, scientists are evaluating and measuring the irradiance and intensity of the ultraviolet light source used for wastewater and landfill leachate treatment. Florida Polytechnic University students and faculty recently participated in a high-level workshop that explored principles and real-world applications of spectroscopy. Ocean Optics, Inc., a leading manufacturer of fiber optics-based modular spectrometers based in Largo, Florida, showcased its products by engaging in live demonstrations with the academic contingent. Spectroscopy is the branch of science that investigates and measures the interaction between matter and electromagnetic radiation. After spending the first hour of the workshop outlining the cutting-edge spectroscopic tools, the Ocean Optics’ team of scientists collaborated with students and faculty in hands-on training in operating the high-tech equipment. 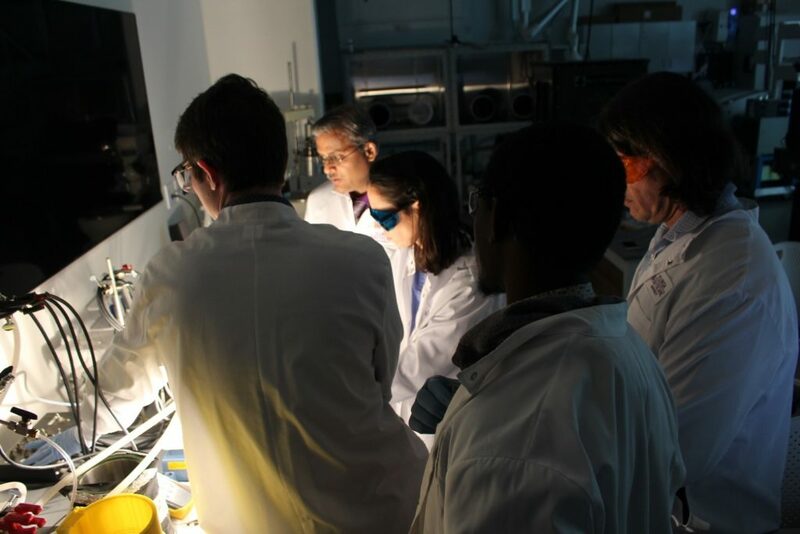 In one session, the group was able to evaluate and measure irradiance and intensity of an ultraviolet light source used for wastewater and landfill leachate treatment. Dr. Sesha Srinivasan, assistant professor of physics at Florida Poly, served as the host collaborator for Ocean Optics, which has provided internship opportunities to Florida Poly students and is looking for ways to expand its collaboration with the University.